Motion Electric Motor Services offers coil manufacturing services to the electric motor and generator repair market. 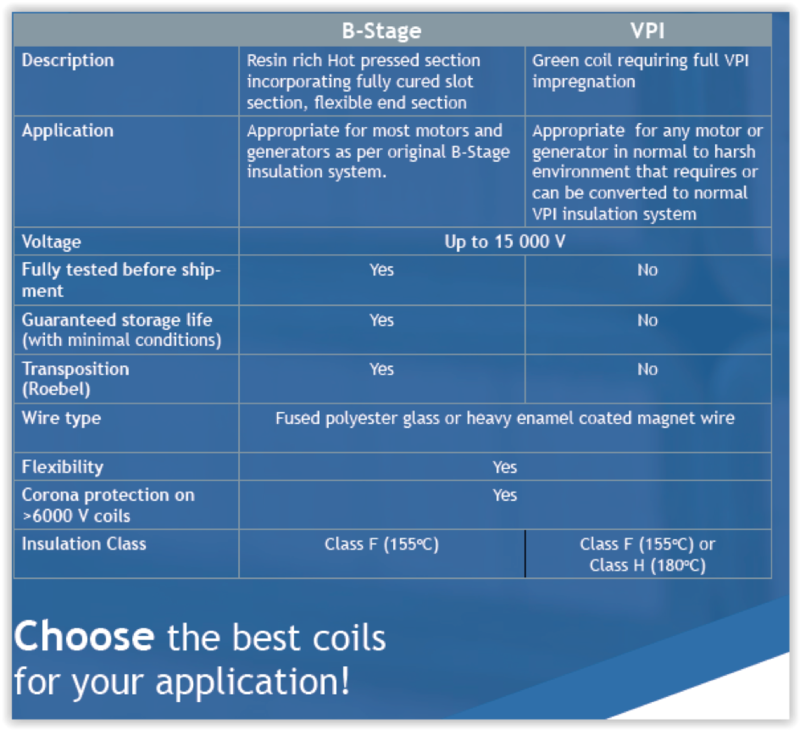 In our fully equipped facility, we produce formed coils and high voltage stator bars for machines rated up to 15,000 V.
We manufacture coils that are compatible to both Resin Rich and VPI insulation systems. Hot-pressed Resin-Rich coils are insulated with premium quality mica tape which is impregnated with a B-stage epoxy resin. Hot pressing the coils activates the resin which then bonds the conductor strands to ensure a homogenous and well-sealed coil. Motion Electric also provides dry mica and Nomex insulation systems that are compatible with VPI (Vacuum Pressure Impregnation) processing. To ensure the highest quality, each coil undergoes a strict Quality Control process from pre-production to final shipping. Coils will be numbered and assigned a Quality Control tag on which the results of inspections, measurements and in-process testing will be recorded. Upon completion of the coil set, a QA report detailing the results of Quality Control inspections and tests will be issued. Each coil we manufacture is checked for correct geometry and consistency in a specific stator mock-up fixture. The mock-up fixture is designed to replicate all the critical dimensions of the stator including core, slot and support ring dimensions. The fit of each coil, based on these critical dimensions, is gauged in the stator mock-up fixture throughout the coil manufacturing process, including pre-production. The stator mock-up fixture also provides a means to resolve discrepancies relating to coil data taken from the stator. Errors or inconsistencies with supplied coil data will become evident once pre-production coil is trialed in the stator mock-up fixture. This will enable corrections to the coil data to be made prior to commencing full production of the coil set. Over many years, Motion Electric Motor Services has developed proven and reliable processes for the packaging and crating of coils for shipping. Our packaging and crating systems provide ample protection to the coils and are suitable for road, air and sea shipping. 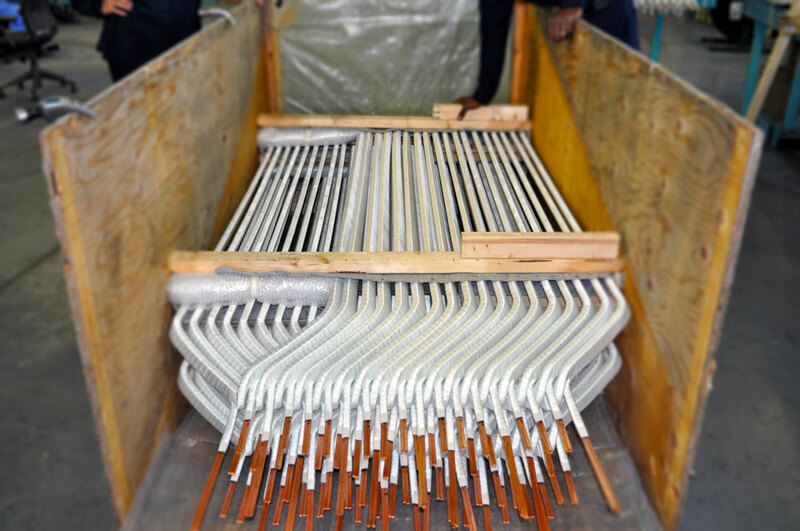 Motion Electric works closely with customers to ensure that every detail of our coils meet their expectations. We also extend this service to the installation of the coils and provide ongoing support and technical assistance to our customers during the winding phase. Where requested, a skilled winding advisor can be made available to provide any necessary assistance to winding crews.